Our expert has consulted the stars and the shelves to bring you book predictions for the year ahead. Thanks for subscribing! Click the button below to download the Best Books for Your Year. This January, we entered the New Year with Mercury, the trickster planet, moving retrograde. This is the kind of astrology that delays plans. Consequentially, we had a slow start to 2017. I hope you got some rest. Consider that there are 13 moons in a lunar year, and so we have a fresh opportunity for a new beginning on Chinese New Year, with the Aquarius New Moon on January 27. In that sense, these horoscopes are right on time. I often understand my years through the books I’ve read. 2016, for me, was a year of books for starting my new business, Rebel Astrology. I read The Renaissance Soul: How to Make Your Passions Your Life, a guide to charting a career path with room for multiple interests, and The Art of Money, a book that helped me align my financial goals with my values. As I save lists of the best new fiction and plan for the year ahead, I imagine what the future will be like for me: expansive, I hope, with many more lazy hours spent reading novels on my couch. Astrology is a tool I use for personal growth; it provides a kind of map for navigating the unknown. Books are the companions on that journey, our guides through life’s mysteries and most ineffable events. 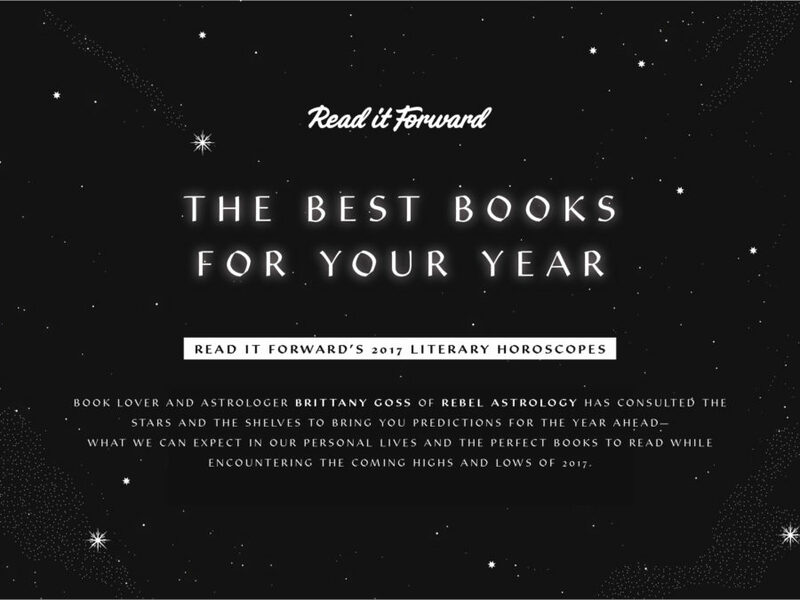 Given my love of both paperbacks and astrology, horoscopes with reading suggestions are the perfect marriage. Now you have both the map and the lantern for your path. One piece of advice: for a full report on the year ahead, read your sun sign and your rising sign. Your rising sign is the zodiac sign that was on the horizon at the time that you were born. If you don’t know what it is, email me at brittany@rebelastrology.net with your date of birth, the exact time of your birth, and the place where you were born. I’ll send you your chart for free. May your 2017 bring you stacks and stacks of beautiful books! BRITTANY GOSS is the founder of Rebel Astrology, offering inspiration and accurate timing for unconventional people. 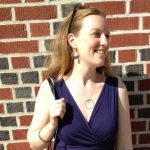 She is available for private astrology readings and parties in the New York City area, as well as readings over video chat and phone.